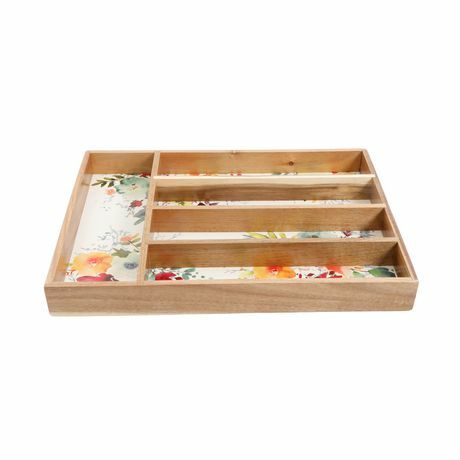 The Pioneer Woman Willow 5-Section Cutlery Tray brings rustic elegance to your kitchen with rich florals paired beautifully with natural wood. 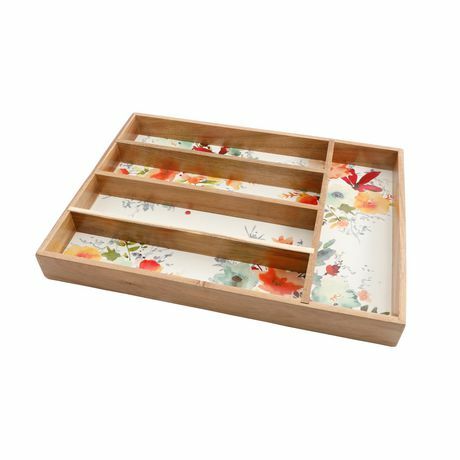 The wood tray is lined with colourful florals against a linen ground, for a beautiful pop of colour. 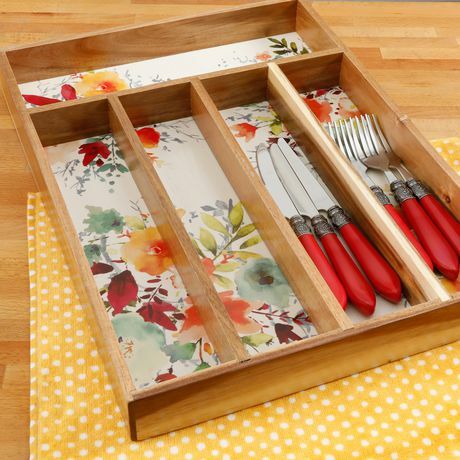 The willow tray features five compartments to easily store your flatware and kitchen essentials. 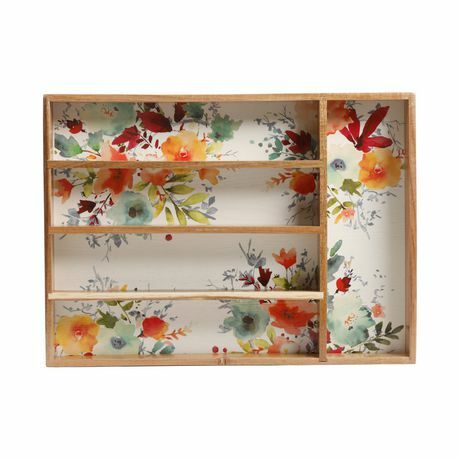 Be sure to take a peek at the matching gadget organizer to complete your set! To clean, please wipe clean with a damp cloth.